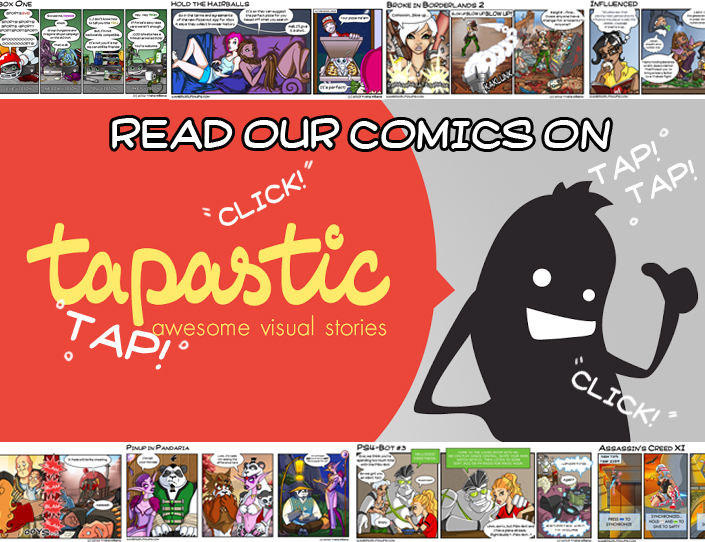 With PiranhaPocalypse I’m out to mix the best of Web Comics with the best of Games for a totally new experience. All this starring Gamer Girl Pinup favorite, Kratos the Piranha. More than interactive and different than a motion comic, Piranha Pocalypse is a game. In the playable panels, images don’t just move. Parts of the story unlock by playing a game of skill in order to explore new stories and content. Readers are able to change the appearance of the Piranha Pocalypse characters, effect the environment, and master the challenge of hunting down the perfect pellet mix. This project is a life long dream of mine mixing Comics and Games and when we get there, PiranhaPocalypse will mark an evolution in web comics. We’ve all seen what happened when comics became awesome because of the internet. Stay tuned and see it come alive over the next few months!